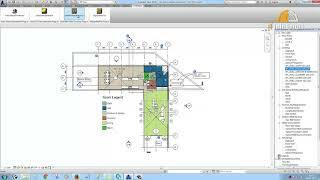 Starts Autodesk Revit Software, login to Autodesk account to use the plugin and open project File in Revit. Start Plugin by select option from tab "iFieldApp-> iFieldBIMdataExtracter” . Show all available 3D Views. The user need to select the 3D View from the list. The user need to enter the project name and select Trade. In plugin there are two options for export assets data, one is 'Export to XML' and second one is 'Export to Server'. After selecting 3D View the user is asked to “Export to XML”. After the processing of “Export to XML" the plugin export assets data automatically from all selected 3D view rooms in XML format. In second option its ask for login using iFBIM web application credentials(https://ifbim.ifieldsmart.com/). After login its shows the project list in dropdown , select specific project name from list and click on 'Upload' button. After successfully upload data to iFBIM server , now you can view this data in iFBIM web application(https://ifbim.ifieldsmart.com/).